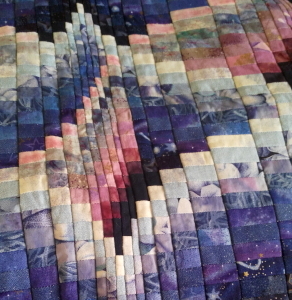 Creating perspective on a flat surface (like a quilt) is a challenge for most people. There are various ways to show perspective, color, value, size, vanishing lines and other aspects. What's under my needle this week? Well, I've been working on my Bargello so not much to show you so I thought I'd share Sue's beautiful flower block instead. If you remember back in April I asked for flower requests to make a new flower block. There were many suggested and King Protea was selected. 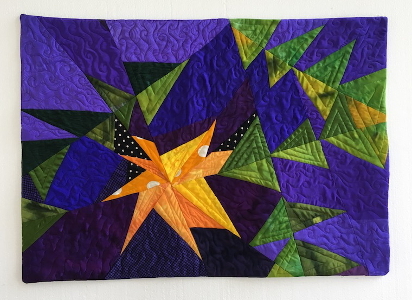 Sue received a free copy of the pattern and this week she sent me a photo of her finished block.